Small group tours are perfect for those that want a more personable tour with time to discuss with each location in detail with our expert guides. With a maximum of 17 guests on each tour, you’ll avoid the big queues and waiting time getting on and off the coach and have more time to explore the historic locations on your day tour! 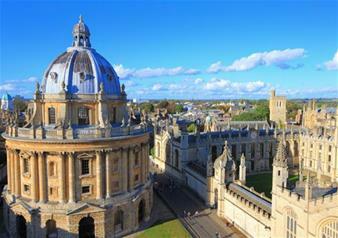 The first stop on your small group tour will be to the quintessentially English city of Oxford. Home to the oldest university in the English-speaking world, Oxford University, it is one of the most talked about locations in the UK. Its alumni include some of the most famous British names, from Professor Stephen Hawking to the current Prime Minister Theresa May, and the literature greats, Oscar Wilde to J.R.R Tolkien. Walk along the beautiful cobbled streets of Oxford and uncover the city’s rich history with a journey through the ancient squares and towering spires, soaking in the sensational architecture as you go. Next stop on your small group tour will be to the picturesque Stratford-upon-Avon, famous for being the home of world-famous playwright, William Shakespeare. You’ll get to see the quaint houses with thatched roofs, idyllic floral gardens and cobbled streets as you journey towards Shakespeare’s birthplace. Whether you’re a fan of Shakespeare’s literature or not, a trip to Shakespeare’s Birthplace is a must. You’ll get to follow in the Bard’s footsteps, into his childhood kitchen, his bedroom and through the rest of his family home! Each room has a guide who will share a fascinating insight into life for Shakespeare growing up as well as the rest of his hard-working family. After all of your touring, you’ll have worked up an appetite so why not stop off for a delicious 2-course lunch? It’s the perfect accompaniment to your day trip out. Enjoy a picturesque drive through the Cotswolds, known as the most beautiful location in the UK. See idyllic sights of its gorgeous cottages and their thatched roofs, the winding streets and glorious countryside views.